When the parade of kids walked into the Shark Tank with the clunky, clumsy accessory on their helmets, I wasn’t sure what I was looking at and I immediately thought: recycling. I thought that the pitch was going to be for a product where children could recycle plastic containers and turn them into colorful accessories for bike helmets. However, once the pitch began, I burst out laughing and couldn't stop no matter how many times I paused the show to regain my composure, as I realized my first impression was completely wrong. Jocelyn Fine and Kelly Dineen, the brains under the helmets, came into the Tank seeking $150,000 for a 30% stake in their company. A quick visit to the Fohawx’s website yields the following company description: Fohawx are funky foam helmet “accessories with attitude”, that easily attaches to a child’s bike helmet with Velcro. Kids can easily change the look of their helmets from the array of available designs. Fohawx retails for $19.99 and can be purchased on the company’s website or at Toys “R” Us and Walmart. The birth of Fohawx: “It all began with a family bike ride when Jocelyn's 7-year-old son, Alex, refused to wear his bike helmet, because he didn't think it was cool. A then 9 year old Maya, who has a flair for fashion design quickly cut up some paper and glued it down the center of Alex's helmet which he happily wore.” For me, this bit of information clarifies why the product looks like it was design by a child – because it was. The frozen looks on the Sharks’ faces were priceless as they resisted the urge to burst out laughing when the kids walked in wearing their helmets (or better yet, costumes). You could almost hear them thinking “Wahhhhh?? Is this a joke?” Kelly began her pitch by telling the sharks that kids don’t want to wear safety helmets because they are clunky, plain, and boring. Pausing the show at this point to do a quick search on the internet netted a plethora of stylish fun children’s bike helmets from such companies as KRASH Helmets, Crazy Stuff Kids Cycle Helmets, Raskullz Helmets, the Netherlands-based EGG Helmets and a host of other companies to name a few. That said, I’m not sure where Kelly got her information from. Once the pitch was finished and the kids left the Tank, a feeding frenzy ensued amongst the Sharks as they tore Fohawx’s financial figures apart. It cost $5.00 to produce (that’s package and landed duty price), and retails for $19.99. In approximately one year the company sold only 5,000 units, and made $50,000 from 80 specialty stores across the United States. If you do the math, that’s $625 per store. That figure would be considered a plankton if it were shark food! The Sharks were doubtful of the $19.99 retail price and felt that $9.99 would be a more realistic price point. When asked about competitors in the market place, Kelly, a vocal force to be reckoned with, disagreed and said there was no real competition. And despite the Sharks’ best effort to show Kelly and Jocelyn the folly of their venture based on the financial figures, the women would not be deterred and Kelly continued her feisty attempt to convince the Sharks to invest. Mark, who can always be counted on to respond honestly and bluntly, said “you’re selling us on the dream and not discussing the green”. Kevin capped this off by saying, “I want partners that can deal in reality, you've got to wake up and smell the bankruptcy.” On that note, the feeding frenzy was over and the Sharks were all out. What do I make of Fohawx? As a product developer for many years for a small company in Manhattan (one of my many freelance jobs), Fohawx could have been better executed in its entirety, to produce a superior, stylish, and fashion-forward product, all at a much lower price point. I hate to say it, but even a car duster attached with Velcro is infinitely more attractive than a Fohawx. Kelly’s passionate argument, that she knows people want to buy this product, demonstrated her clear lack of understanding of “brand” identity in the market place. 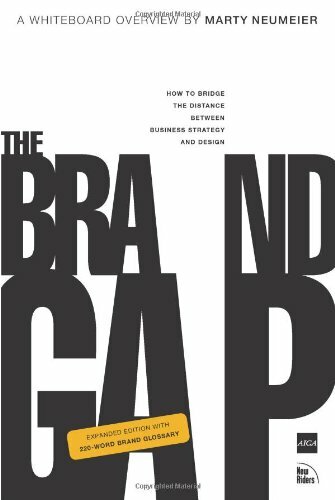 As Marty Neumeier eloquently puts it in his book, The Brand Gap: How to Bridge the Distance Between Business Strategy and Design , “A brand is not what you say it is. It’s what they say it is.” These women would definitely have benefited by reading this book – before entering the Shark Tank. It is the general consumer’s gut feeling about a product that creates a brand and that sells products. That being said, since Fohawx’s target market group is 4 to 10 year-olds, I thought it made sense to get the opinion of someone in that very age group: my 10 year old niece Dalia. She has a very active social life that includes dance classes, karate, being a member of the school band, and of course having regular play-dates with kids in her community. In an informal interview in which she was asked to share her thoughts about Fohawx and some of the other kid’s helmet brands mentioned above, Dalia said she wouldn’t wear a Fohawx, and I quote, “because kids these days will make fun of you and call you a mop head”. There you have it folks: Fohawx will turn you into a “mop head”.